Nils O. Myklestad, Bell Helicopter consultant and professor - Engineering Mechanics at the University of Texas at Arlington, died Sept. 23. He was a pioneer in the dynamics of rotating beams; the methods he originated and developed for vibration analysis of helicopter rotor blades are known by engineers throughout the world. Prior to joining U.T. 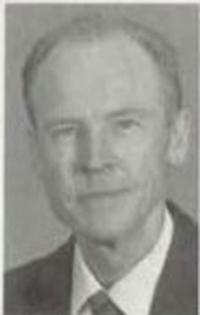 at Arlington and Bell, Dr. Myklestad held professorship at the Illinois, and Arizona State Univ. In the course of his career, he engaged in industrial research for Westinghouse, AiResearch and North American Aviation. He had been research consultant at Bell and member of AHS since 1967. Dr. Myklestad authored several books on vibration analysis that are used as texts or references. His paper, "A New Method of Calculating Natural Modes of Uncoupled Bending Vibration," published in the Journal of the Aeronautical Sciences in 1944, is considered a landmark in the history of vibration analysis.